Although Mongolia's literacy rate is high, there are few schools in areas like Chingeltei, and classroom overcrowding is common. Schools operate three shifts per day, with average class sizes of 55-60 children, compared to the national average of 30-35. Schools lack proper heating, toilets, and water sources, which make it difficult to study, especially during the cold winter months. Teachers are poorly paid and lack professional skills and training, which results in a poor learning environment for children. There are few specially trained teachers for children with disabilities, so these children do not get the support they need to reach their full potential. Girls are more likely to attend school because they are considered “inferior and needing to be educated. Many boys drop out of school or simply never attend. Parents may not understand the importance of education or encourage their children to attend school. In such as Chingeltei, people do not have access to adequate supplies of fruits and vegetables. Inadequate diets lead to malnutrition, which weakens children and leaves them vulnerable to diseases such as tuberculosis, diarrhea, rickets, and hepatitis. There is a shortage of doctors and those practicing are overworked and poorly paid. Health care workers lack access to training opportunities to upgrade their medical and professional skills. 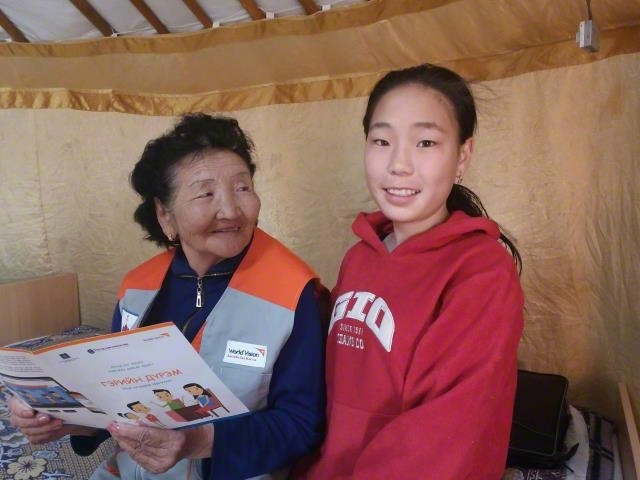 To access social services such as health care, residents must pay to register for Ulaanbaatar citizen cards, which are unaffordable for most, so children in these families do not receive proper treatment. In the Chingeltei community, inadequate infrastructure and services worsen the hygienic and sanitation conditions. Personal hygiene is poor, a problem compounded by a limited water supply. Garbage is simply thrown outside because there are no waste management services. This leads to environmental pollution and creates opportune conditions for spreading infectious diseases. Various factors contribute to Chingeltei's rates of unemployment and poverty. An influx of people from rural areas has heightened demand for the few existing jobs, and the lack of quality of post-secondary education and trade schools means many people do not have the proper skills or training to find sustainable work. People who start small businesses face many challenges, such as high interest rates, lack of collateral, and little business knowledge or training. A lack of alternative income-generating activities among adults affects their children's health and educational opportunities, often preventing them from reaching their full potential. In the Chingeltei community, one in five families lives below the poverty line. Located just outside Ulaanbaatar, Mongolia's capital city, the community lacks many basic facilities and services. Many live in dilapidated housing and unhygienic conditions. The health of families is at risk due to a lack of clean water and poor nutrition. Health ailments such as dental problems, hepatitis, diarrhea, and tuberculosis plague both children and adults. Lack of quality education and infrastructure causes children to drop out of school and leads to poor academic performance. Most families are not able to provide for their basic household needs. 68% of caregivers can now provide for their children's basic needs such as food, clothing and blankets, compared to 51% before. The percentage of children under 5 years old that are too short for their age, as a result of malnourishment, has decreased from 9% to 2.7%. 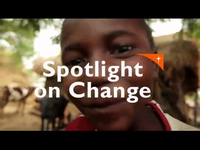 75% of children with diarrhoea received proper treatment, compared to 60% before. 86% of children are able to read and understand the material, compared to 74% before. 82% of families are earning an income to better provide for their children, compared to 40% before. Invest in the development of school infrastructure to eliminate classroom crowding. Provide improved training for teachers. Establish supportive parent associations to get parents involved in their children's education. Prioritize the educational needs of children with disabilities. Educate families on proper nutrition and increase their intake of micronutrients, especially for children. Provide health workers with improved access to trainings to upgrade their medical and professional skills. Upgrade the community's sanitation systems and teach about hygienic practices. Provide community members with access to loans and business training. Establish vocational training opportunities to help people acquire the skills they need to find work and support their families. 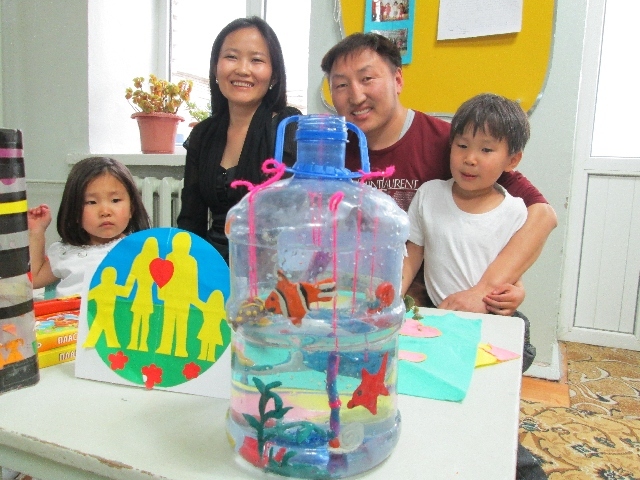 Partner with local churches to implement initiatives like alcohol recovery programs and children's summer camps to increase families' sustainability.